Elderly Goodrich Man Charged with Murdering Spouse, LIVINGSTON, September 15, 2017 - On August 26, 2017 the Polk County Sheriff’s Office received a call from Carolyn Carroll. In the distressed call, Carroll stated that her husband had gone crazy and needed help. As Deputies were responding to the scene, information was received that 71 year old John Speights had shot a killed her. 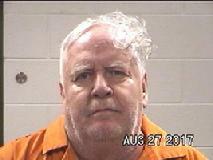 John Speights was taken into custody and charged with Murder. Speights currently remains in the Polk County Jail under a $200,000.00 bond set by Justice of the Peace Sarah Arnett. If anyone has any questions or information please contact Captain Rickie Childers at 936-329-9026 or Crimes Stoppers at 936-327-7867.